When I attended the doula UK conference, as a friend of Doula UK, in 2017 I was yet to decide who I was going to do my doula training course with. I wanted to get more of a feel for the doula community first and to see if it was for me. I came away so inspired and enthusiastic that I think I signed up to train with Maddie at Developing Doula’s straight away. Now I am just about to finish my birth doula mentoring period and will soon be a recognized birth doula. What a difference a year makes! At the event there was amazing raffle to enter, I couldn’t believe how fantastic the prizes were. So I decided that even though I never win anything usually that I just had to buy a ticket. One of the prizes was for placenta ecapsulation, a form of placenta remedy that I had not tried although I was familiar with another method. When my daughter was born in 2016 I partially ate it as a raw placenta smoothie, the rest went unused. My experience of giving birth had been a long and traumatic one which sadly had resulted in a c-section. When I tasted the placenta smoothie it had been the best thing ever. My hypnobirthing teacher, Sophie Kirkham, made it for me with loads of fruit and some other delicious ingredients that I can’t remember now but I know that it felt so nutritious. I hadn’t eaten anything for 3 days and hadn’t slept for what felt like weeks! I wish I’d had more of my placenta to use but I just wasn’t organized enough and actually I was feeling so bad after my birth, I didn’t have the energy or enthusiasm to sort it out. To my delight I did win at the raffle and it was the Placenta encapsulation from Maggie Vaughan. I thought maybe it might be useful for me at some point but I knew I wasn’t ready to go through birth again quite yet, I had some things to work through before I felt really ready. 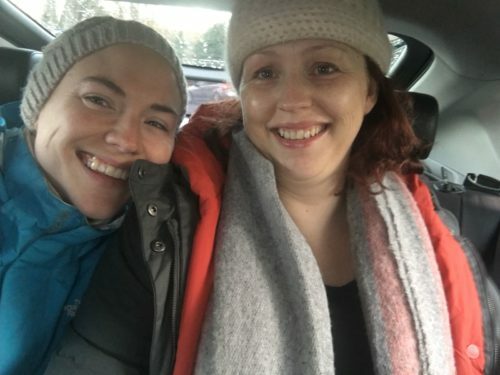 When I started my journey as a mentored doula I met a wonderful woman, Hannah who was going to be a single mum (by choice) and we spent a lot of time together throughout her pregnancy. Watching Hannah on that journey was incredible. For the first few meetings she didn’t even “feel ready to think about the birth” but by the end she was full of confidence and knew what she wanted. 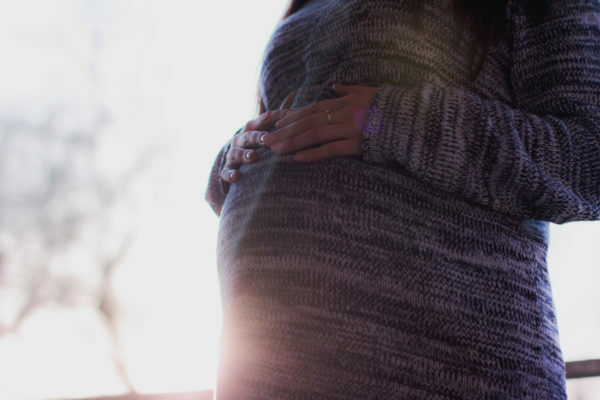 On day one of her maternity leave, 37 weeks pregnant her waters broke unexpectedly and after a few days of expectant management she agreed to an induction which was not what she had wanted. We’d talked several times about the placenta encapsulation and I decided to offer her the voucher to use. She was keen to try it because she’d read it may help reduce the chance of Post Natal Depression. I wanted Hannah to have the voucher because I knew she would be raising her daughter on her own and I wanted her to have every opportunity for a good start to motherhood. Hannah is one of the most resilient and determined women I have met and her story really inspired me. I felt so lucky that she chose me as her doula (after a chance meeting in the block of flats we both live in). It was very last minute when we contacted Maggie Vaughan and she was SO helpful and really did everything she could to fit in Hannah into her already busy schedule. I was so pleased it worked out and Hannah got her capsules so quickly it was great! Thank you so much Maggie for offering your services as a gift and thanks to Doula UK for throwing such an inspiring conference that got me hooked on doula life! I wouldn’t have even considered placenta encapsulation if it wasn’t for my wonderful Doula, Katie Hickey. It was in one of our pre-birth, ‘getting to know each other’ sessions that Katie mentioned that she had won a voucher at a Doula UK conference, for encapsulation provided by Maggie Vaughan, that I could have the voucher if I would like. If I’m very honest, I didn’t immediately jump at it – it’s not something I would have necessarily done off my own back, probably because I had (incorrect) perceptions about ‘eating your own placenta’! But it was something that intrigued me. 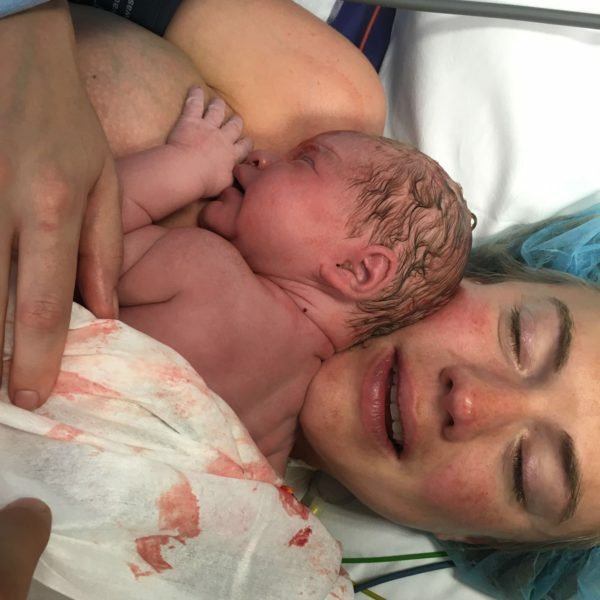 Through our sessions, Katie had made me realise that there is a whole world out there in terms of not having to have your baby the way you perceive it to ‘have’ to happen -medicalised and guided only by doctors – she opened up my eyes to hypnobirthing, home and water births, all as completely viable options that I had previously not even considered. So I went off to do a bit of research and discovered that while there is not a huge amount of scientific evidence – yet – around the benefits of placenta encapsulation, there was lots of anecdotal evidence that it was incredibly beneficial for new mums. Critically, there didn’t seem to be a whole lot out there to say that it was a bad idea. I am a single mum by choice – my daughter is donor conceived – so I knew I was going to be on my own quite a lot in the early days. I also have a history of mild depression, so I figured even if it was a placebo effect placenta encapsulation could really help me. Katie was great and took care of all the logistics (I went into labour three weeks before my due date so we hadn’t yet finalised the details for encapsulation) – at some point in the labour, my rather confused sister turned up with a cool-bag that she had been asked to bring in. Once delivered, my placenta was then whisked off to Katie’s fridge to wait until Maggie picked it up the next day. A few days later, I received a beautifully wrapped parcel containing 197 placenta capsules – it was really lovely that they were presented as a “gift”, it made it feel very special. I was really excited to start taking them, I had a 5 day old baby and was already exhausted! This was my first baby, I didn’t know any different and whether anything I felt was specifically related to the placenta pills, but I did feel good. As good as anyone who had just given birth can feel. I had ended up being induced with a forceps delivery plus we really struggled with feeding in the first few weeks due to a tongue tie. I was on my own, albeit with a good support network, but the realisation of how hard parenting single handed was going to be hit me quite hard. However, I managed to feel pretty stable throughout those first few weeks and despite being ridiculously sleep deprived due to my crazy early days feeding schedule I didn’t once feel like I was going under. I’m pleased to say that four months in I am still exclusively breastfeeding – it was tough going for at least the first 8-10 weeks, but I strongly believe that taking the placenta capsules helped to keep me on an even keel during that time which enabled me to persevere. Of course I had my moments, as we all do, but I honestly think that taking my placenta capsules made all the difference to my transition into being a mother.